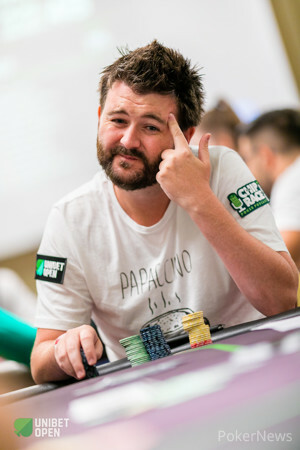 Bogdan Diaconu limped from the button and he saw David Lappin raise from the small blind to 7,600. The player in the big blind folded his hand and Diaconu called from the small blind. The flop came down :::9h:::7c:::2c and Lappin continued with a bet of 9,500. Diaconu folded in quick fashion and Lappin took down the pot.